Owned and operated by long time Island residents Dale and Jodi Gough, Gough Carriage Livery offers four styles of beautiful carriages for your wedding, vow renewal or other special occasion. 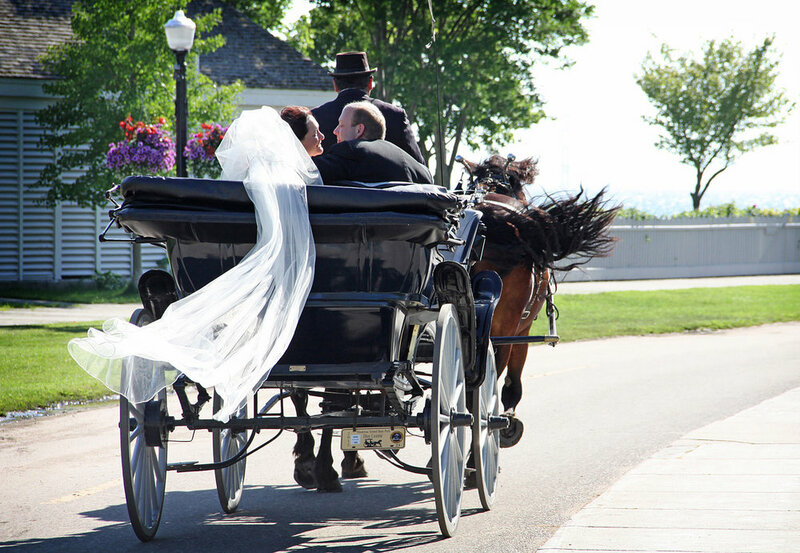 Jodi Gough will help you with the details and timing for your carriage ride. From the eight passenger Justin Touring Carriage to the Victorian style Vis-a-Vis, there is a wedding carriage for you and your guests to arrive in style.